Considering overall investment, the car wash business is a profitable business. Due to population growth, the numbers of new cars in the world is highly increasing. As a result, the car wash business is getting more popular and profitable too. This is a small investment business opportunities that young entrepreneurs can start. Car washing business is a service types business and also profitable. This business can start with a small investment. Location is very important for this business. In order to start a car washing business, an open field is in a place where communication is good and confirm adequate water supply. Generally, car wash business is a small capital business idea. To start this business, it may be necessary to invest an estimated $1000 to $1500 in small scale. Once you get succeed then you can invest more. This business has a huge market around the world. This business is managed by washing cars in the areas where sufficient water supply can be confirmed. Wash the car with brush and shampoo. If you want you can start this business by hiring some employees. Before starting you should to know the markets. This is good option to talk the people who are doing this business already. The good business plan and marketing plan is very important to get early success. As it is a service-oriented business you must provide good service with good behavior. One thing you have to remember, one satisfied customer the advertising billboard. So you have to satisfy your customers. In the recent time, many young entrepreneurs have expressed interest in this business. In the car washing business, there is less trouble and risks than other businesses. Some people are taking this business as a part-time, especially the students. Moreover, this business can be stared easily. Who will be your clients? The car wash business is now a popular business idea. Those who cannot clean the car for the busyness, they come to the car wash companies to clean the car. Especially, the main clients of the private car owner of this business. What Qualification do you need to start? There is no special skill required to start car wash business. You can start this business with two or three-day training from any car wash company. There are lots of free videos are available on the internet. 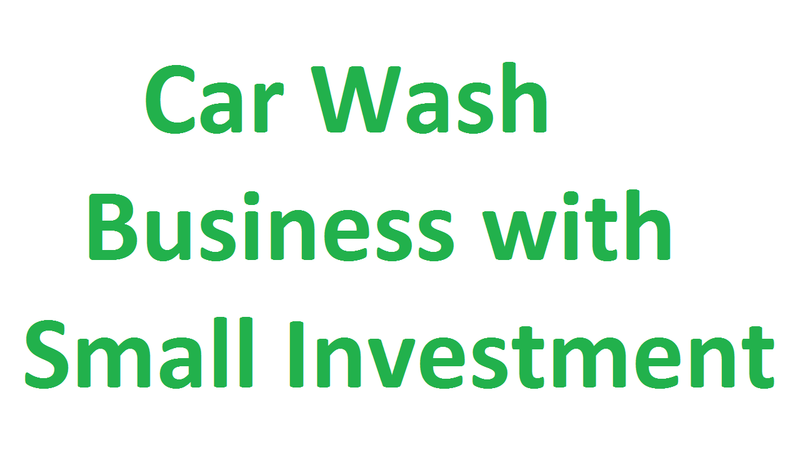 Take business permission from your local authority to start car wash business. You have to buy car wash accessories and other equipment for your business. Provide leaflet to get more customers and make a special offer to get new customers. Carefulness: Make sure your car wash company is providing good customer’s service. While washing the car, be sure to check if there is any scar in the car. Carefully wash the front of the car and the looking glass. What are the possible earnings? As it is a service-oriented business sector so there is not fixed income. From $100 to $500 can be earn per day. If you get more clients you will earn more. In the conclusion, make sure your clients are satisfied with you service.